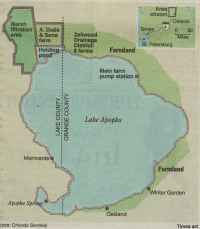 Example of a Eutrophic lake - Apopka. 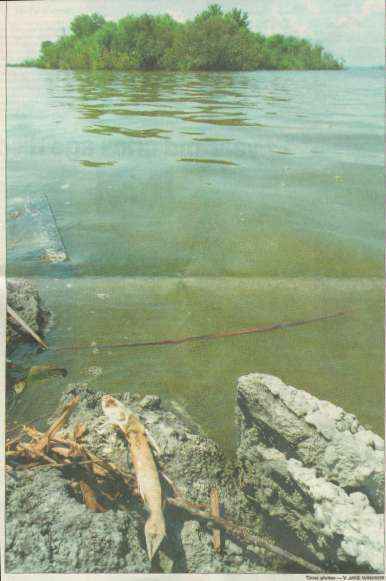 Click on this St. Pete Times photo for a larger one. 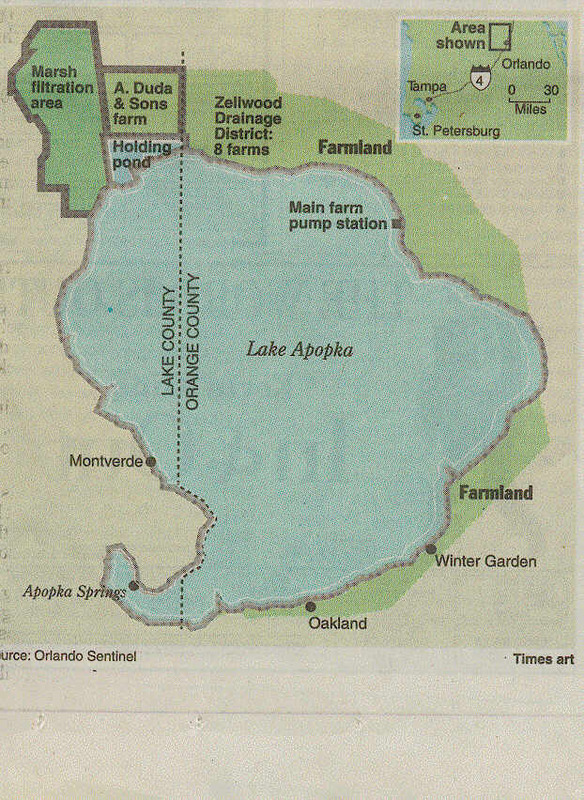 Click on this St. Petersburg Times map of Lake Apopka to see the areas contributing excess nutrients. 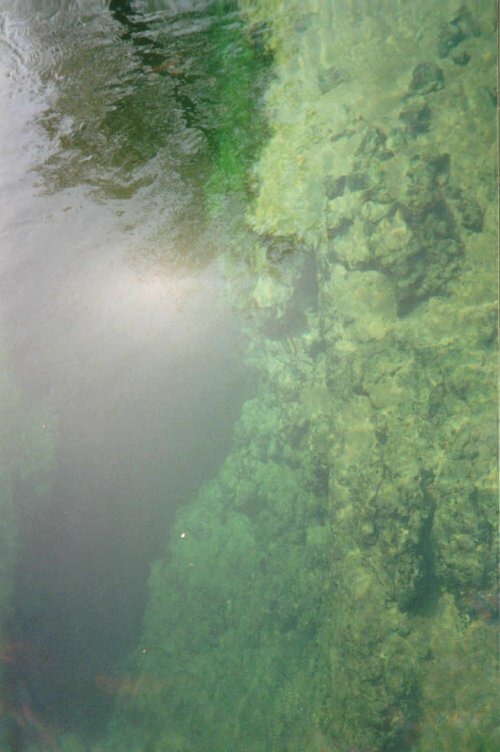 Sample of 1987 Anabaena bloom mentioned in the report. Click on photo for larger one.